The first Dynaudio installation products, the IP 17 and IP 24 in-wall loudspeakers, brought the uncompromised Dynaudio sound quality to the realm of architectural audio. 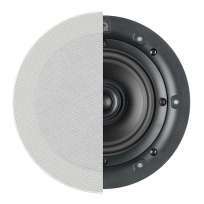 Visually discrete, they ensure Dynaudio authentic fidelity in a wide range of custom installation applications. 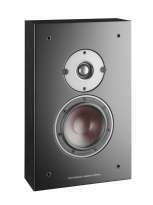 Now there is another high performance model optimized for In-Ceiling custom installations: Dynaudio IC 17. 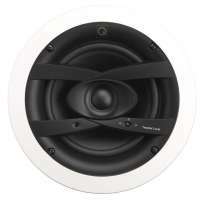 The Dynaudio IC 17 is a two-way installation loudspeaker intended for in-ceiling installations for stereo, multi-room or multi-channel audio systems. Its mid/woofer is equipped with Dynaudio's characteristic MSP (Magnesium Silicate Polymer) 6,5" cone membrane and 75 mm diameter aluminium voice coil, which ensure the authentic reproduction of even the deepest frequencies. 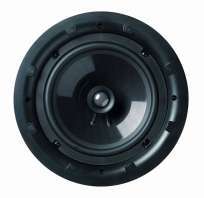 The tweeter is mounted slightly off-center in front of the woofer and reproduces the high frequency range via a 3/4" diameter specially coated soft dome. The tweeter can be adjusted in two steps via a switch. 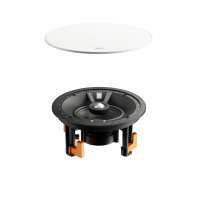 The directivity characteristics and all other parameters are precisely optimized for the in-ceiling integration. The IC 17 can not only play the role of a visually unobtrusive surround speaker, but also performs admirably as a main speaker, all while delivering the authentic sound quality synonymous with Dynaudio. A sophisticated yet simple mounting mechanism enables the IC 17 to be installed quickly and easily. Rigid clamps secure the speaker into the intended ceiling cut-out. The entire construction material is very strong yet at the same time lightweight enough for suspended plasterboard ceilings. 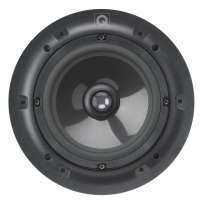 The frame material and assembly geometry combine to absorb external resonance and vibration. A high grade terminal with gold-plated binding posts will securely hold every kind of cable. Provided with a paintable grille, the IC 17 will harmonically fit into any and every interior, so that everybody's attention is directed solely to the essential: the music, which will be relived in the renowned Dynaudio sound quality.